The Euro-Mediterranean Network for Economic Studies (EMNES) concluded successfully the 2nd Annual Conference, held in Cairo on 06-07 December 2017. 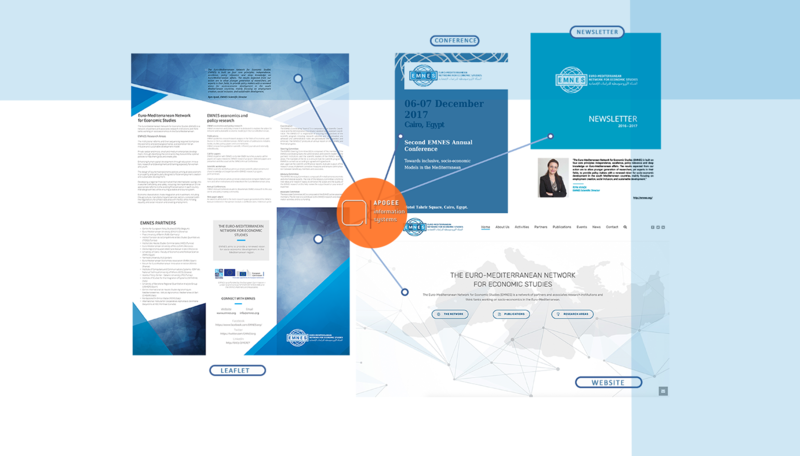 Apogee Information Systems undertook the design of the “EMNES 2016-2017 Newsletter”, of the Conference Program, of the rollout banners and of the trifold leaflet. Apogee continues to support the online presence of the Network is also responsible for the layout and design of EMNES publications. EMNES - a project co-funded by the Euro-Mediterranean Economists Association - EMEA and the European Commission - aims to provide a renewed vision for socio-economic development in the Mediterranean region.